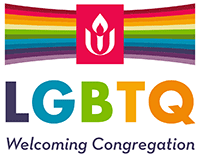 In May 2017, First Unitarian voted to become an Immigrant Welcoming Community, and publicly declared itself to welcome immigrants and collectively work to bring that welcoming spirit to the whole community via spiritual activities, reflection, education, relationship building, and action. If you would like more information please contact Andrea at afreerksen (at) gmail.com. Let Andrea know if you would like to join our listserve, to receive emails about requests to provide rapid response support in communities, attend protests, connect with other immigrant welcoming churches at monthly meetings, provide court support, volunteer for shifts to support families currently in asylum at other churches, and other opportunities.